At forty-two, I herniated my L4/L5 disc and life as I knew it was over. Prior to that, I had been that person…THAT MOM. You know the type: the go-to, never-say-no, initiator-and-follow-through-er, full-of-energy-and-ideas, you-can-count-on-me type of person. I wrote course curricula for a start-up camp at church (my brain child), then was director of the camp; headed the church’s religious education council and served as VP on the board of trustees; I was that hands-on parent who made it to every during- and after-school program for my kids, went on every class trip, sat on committees, and handled (badly) the finances at the family business. I did it all. I was Super Mom. Except, of course, my “self” got lost in the mix. I’d read all of the articles that instruct moms to take time for themselves, pay attention to self-care, blah, blah. Who had time for that? I was too busy serving everyone else. I was needed. So, my disc intervened and one fall day, it all came to a screeching halt. I mean that quite literally. While moving cases of canned juice at the local food pantry (I know, I know! ), the disc blew—I felt it happen—and screaming in agony, I went down. For three months, I couldn’t even lay in my bed; I had to sleep in a comfy chair. Days were spent eyeballing the clock to count down the minutes until my next dose of Oxycontin. The phone calls finally tapered off as I learned a new word: no. “No, I can’t make cookies for tonight’s meeting.” “No, I can’t give your kid a ride home.” “No, I can’t fill in for you as team parent.” Just no. My muddled mind lost track of the days, the weeks melted into months, and depression took hold. Was this it for me? My chiropractor informed me that if I could find a way to manage the pain, my body had the capacity to heal itself. Manage the pain? The drugs only put me in a mental fog that left me staring vacantly at the television. I guess they succeeded in making me care less about the pain. Ninety days into my misery, I gave up. I couldn’t cope anymore. I reached for the phone to call a surgeon; it rang as I touched it. A woman I knew had just heard about my predicament and wondered if I was open to the idea of acupuncture. It was like someone switched the light on in my gloomy house. Me, the yoga-practicing, vitamin-wielding, health-food eating, crunchy-granola-ish, aging, wannabe hippie? Of course I was open to the idea. I was a little embarrassed I hadn’t thought of it myself! I slept fitfully that night in my comfy chair, half-breathing, endlessly shifting, moaning, and generally just feeling really, really sorry for myself. In the morning, I got out of the chair and stood up. For the first time in three months, I was standing at my full height of five foot three inches. Not bent at the waist at a ninety-degree angle. I screamed for my husband. He rushed into the room, panic in his voice. “What happened? What happened? Are you okay?” When he saw me, he stopped. That first acupuncture treatment was the turning point. It wasn’t the end of the pain—it was the beginning of my journey toward healing. I knew if I dwelled on the way I used to be—active, non-stop, needed—I would be overwhelmed. I wanted to be better immediately, but that just wasn’t going to happen. I needed to address my reality and plan little winnable battles on the path toward victory in what had become my war. Each baby step toward getting better became a reason to celebrate. With the help of my medical team, I began ticking accomplishments off my list. Lessen the mind-numbing pain – check. Stand up straight – check. Walk without a cane – check. Even out my gait so the limp from the sciatica was less pronounced – check. Get off all medication – took a long time, but check. Walk the mile around the block – check. Walk the dog, ride bikes with my kids, do yoga without modification – check, check, check. It took almost a year after my injury, but I made a full recovery. The pain was finally gone and I’d returned to a normal, active lifestyle. But, as I originally stated, my life would never be the same. In a good way. Important lessons I learned during that journey included learning to say no and learning to how to set small, achievable goals for myself as I plodded along toward my end goal. Like when I was hiking up a hill (which I can now do! )—I didn’t keep my eye on the peak of the hill as I put one foot in front of the other, making me feel defeated before I’d even begun. Instead, I focused on my feet and the ground beneath me. I gauged my progress as I occasionally glanced up at my goal, but, otherwise, kept my eyes on what was happening right under my feet as I did the work, kept on moving, knowing that I was going forward on my path. Most recently I’ve applied this same lesson to the publishing and marketing of my first book. If at the start, I’d set my goal to be an author on the New York Times Best Seller list, I’d have closed my computer and gone to take a nap. Just too overwhelming. Instead, in collaboration with a life-long friend, we began our journey a little less deliberately. Our goal now may be that list, but that’s certainly not how we started. Our first accomplishment was to stop viewing our writing as a hobby and to start taking it seriously – check. We spent the next seven(!) 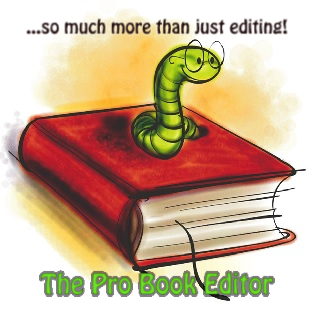 years writing, rewriting, engaging beta readers, rewriting some more – check. 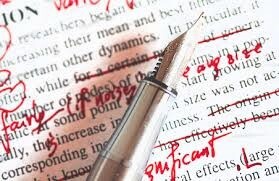 When we couldn’t make any more changes, it was time to look for an editor – check. Once found, we needed to confront the typical writer-anxiety of allowing someone outside our inner circle to read our work. I’d never felt more vulnerable in my life as my finger hovered over that Send button – check. Then, the time came for making the decision whether to publish traditionally or launch into self-publishing. The reasons for our ultimate decision were long, varied, but well-researched and thought-out – worthy of an article on their own. Once decided, we never looked back – check. Now it was on to the marketing. A whole new world for me. I’m a writer, not a business person! But, like healing from my back or climbing that hill, I knew the only way I could approach it was one step at a time. So with the guidance of my very able editor/marketing guru, I got busy on Twitter and Facebook and Pinterest and Instagram. I took webinars and read articles. I built my website and set about learning how to gather emails and why this was important. I had made the decision to do this and, by golly, I was going to do it! The book came out in August on Amazon as an eBook and I did all of the appropriate announcing and social media blitzing in advance and offered it free that first day. I had a huge spike in downloads and proudly watched it shoot up to reputable numbers on the various Amazon category lists. I also knew that it would drop the following day when the giveaway was over. And it did. So, next began that one-foot-in-front-of-the-next, goal-by-goal approach that I mastered back in the herniated disc days. The book came out in paperback so I had a whole new marketing tool in my arsenal – check. I bought business cards to start distributing everywhere I went – check. I needed reviews of my book so I bullied all of my friends and trusted the general public would follow suit – check. Each day, I kept up with all of my advertising copy, writing tweets, posting to Instagram, engaging in my slowly growing following – check. Each day was one step. Each small accomplishment gave me an opportunity to pat myself on the back. Will we ever reach the New York Times Best Sellers list? Who knows. It’s a nice goal, but let’s call it a “dream goal.” I’ve post-dated a number of goals that I didn’t mention earlier because they were never really in my formal marketing plan. Today, though, I’ve accomplished a childhood dream of mine – I am a published author. CHECK. People are actually reading this story Sandy and I imagined, and they are enjoying it – check, and check! For my fragile little writer’s ego, I’ve reached more goals than I’d ever believed I would. Everything else is gravy. So what am I doing now? I’m practicing the lessons I learned from my herniated disc. I’m putting in the time and doing the work. I’m being patient and methodical. It’s not about being an overnight success because I know we are in this for the long haul; it’s about putting new goals in front of me to try to hit. Currently, Sandy and I are working on a novella that will complement our novel. I’m planning to use it primarily as a marketing tool—in exchange for an email address, I’ll send the novella for free. Also, we’ve outlined our next full novel and plan to begin that in the spring. Because even though I’m developing a routine with the marketing and I will continue to set goals and celebrate when we hit them, at the end of the day, Sandy and I are authors. 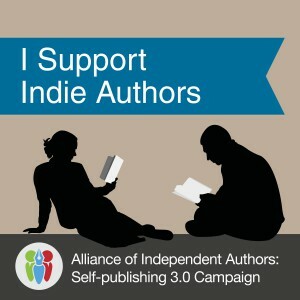 Published authors, in case you’ve forgotten! Uh, hello, and Taye Diggs is following you. (post) Check! Haha! YES! How did I forget to mention this pivotal moment in my career? That’s a BIG check! !